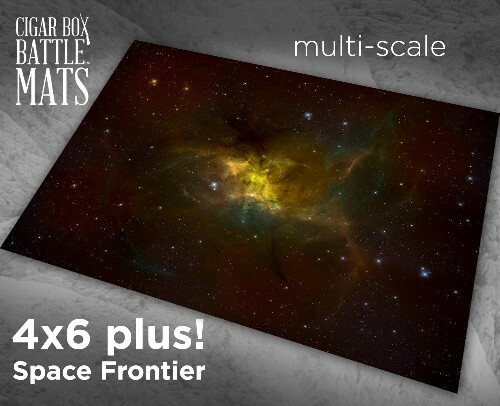 The Space Frontier (#250) mat is a very versatile and beautiful terrain mat! It is professionally illustrated and perfect for just about any space game. Use "as is" or add your own space stations, asteroids, blackholes, etc., to create an exciting scenario for just about any scale spaceships.